A week back happened to be my brush with something I have only seen on TV, admired on food shows and lustfully eaten through my eyes. Really. 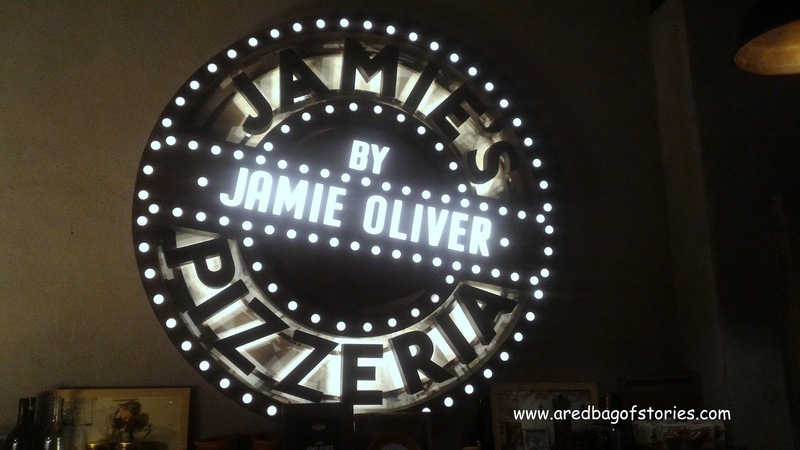 I literally jumped with joy soon I got the invite to visit the celebrated chef Jamie Oliver’s India edition of Jamie's Pizzeria in Ambience Mall, Gurgaon. Not to mention that I was way too excited and was quite looking forward to it. 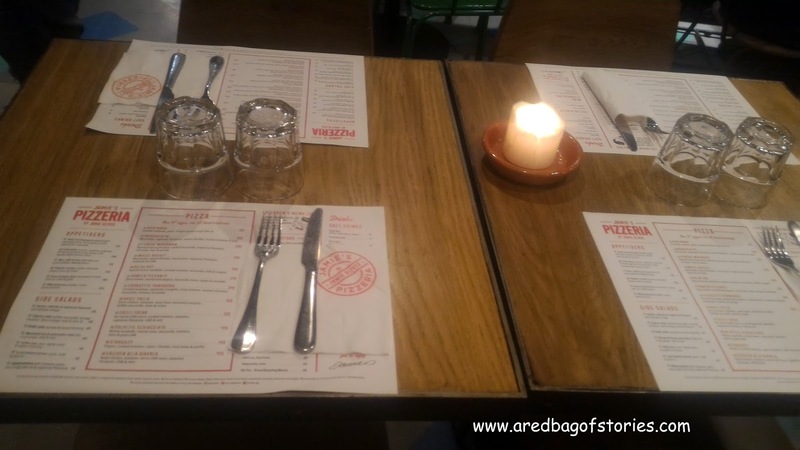 From being a fan watching Jamie Oliver cooking quick and simple 15-minute or 30-minute meals, it was another experience eating at his restaurant. If you do not know about Jamie and his cooking style, I will fill you in. 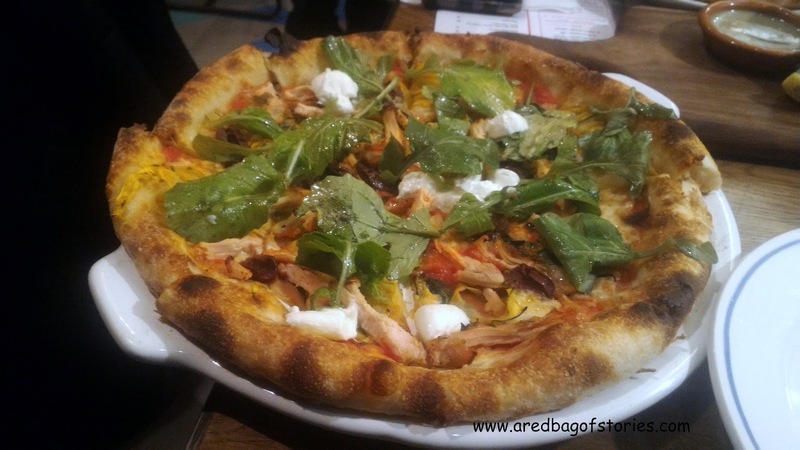 Think fresh, local produce, add a dash of simple ingredients, thrown on a piece of hand-stretched fresh dough, and you get classic Jamie Oliver pizzas. 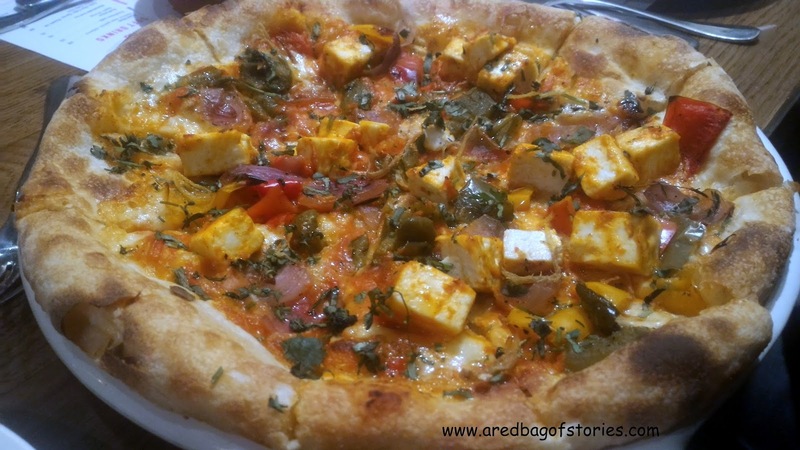 Founded in Cambridge, Jamie's Pizzeria is slowly becoming the go-to place for simple Italian pizzas made with lot of love. 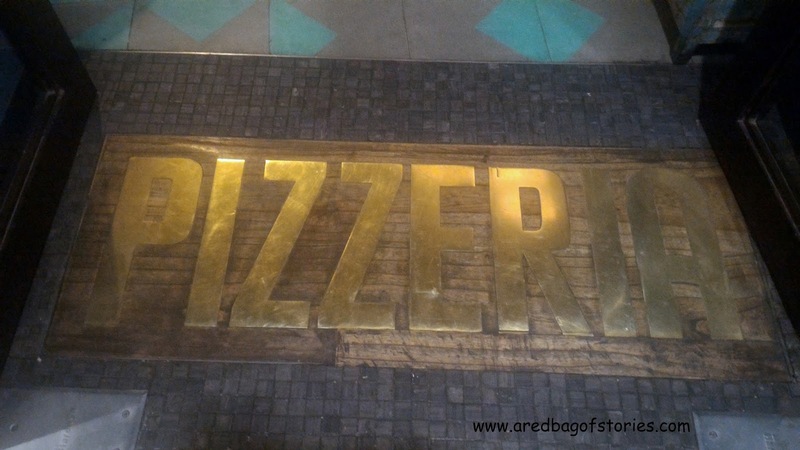 The restaurant keeps up the spirit of the brand that Jamie Oliver stands for. Simple, rustic and classy. 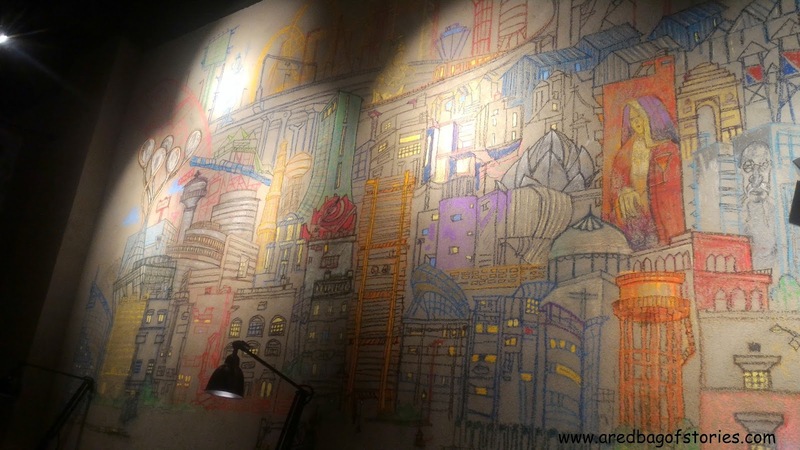 Drawings scribbled on walls, an open kitchen wafting with the smell of fresh, warm pizzas, and a menu that incorporates best of Jamie with a little Indian touch. 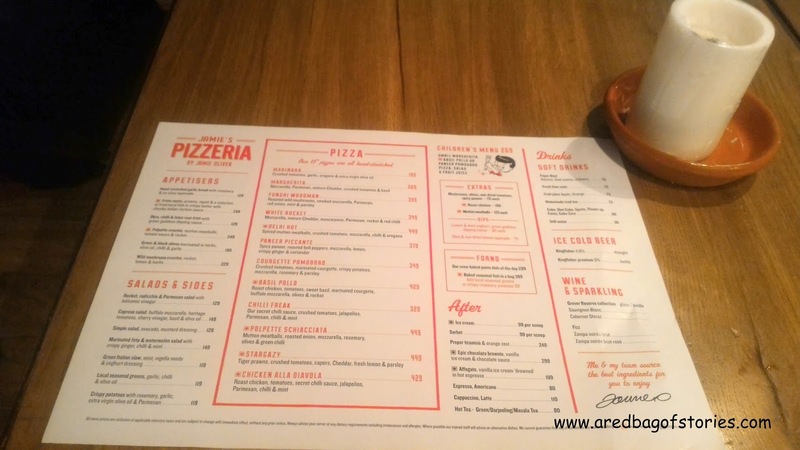 The menu has been very cleverly designed with beverages, sides and desserts complimenting the main hero of the restaurant, pizzas. 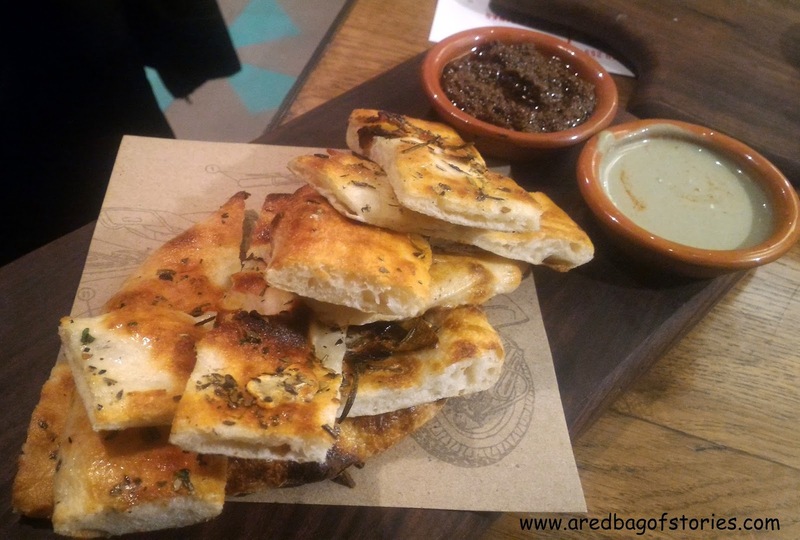 The meal started with hand-stretched garlic bread with rosemary served with an olive tapenade. One tip is to not let it go cold. Eat it hot the moment it is served on your table. Then came a range of thin-crusted, delicious pizzas. 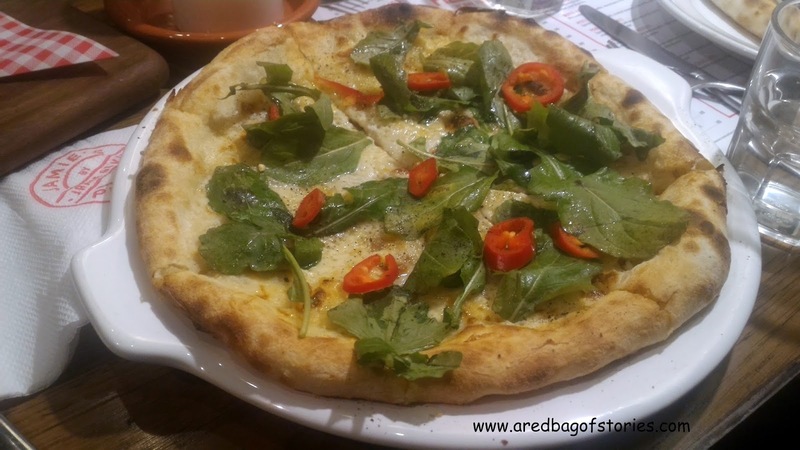 White Rocket with Cheddar, Parmesan and rocket leaves and Paneer Piccante with spicy paneer and mozzarella were a delight for vegetarians. For a chicken lover in me, Basil Pollo with roasted chicken shreds, buffalo mozzarella and rocket leaves was a perfect treat. And just when I thought that I had had the best Italian meal in a long long time, we were served a beautifully laid-out dessert spread. There was Epic Chocolate Brownie with vanilla ice cream and chocolate sauce and then there was Tiramisu with orange zest. 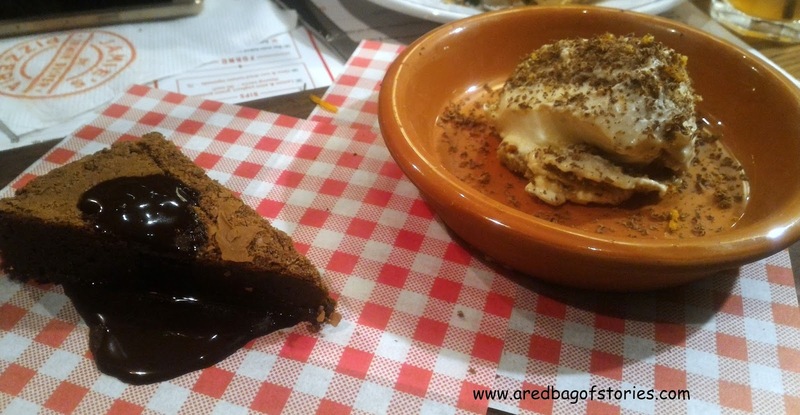 While my friends loved the hot and gooey brownie, it was Tiramisu that took my heart away. The best Tiramisu I have had till date. I highly recommend you finish your meal with it. And how amazing is this that I wrote this post watching Jamie's show on Fox Life!